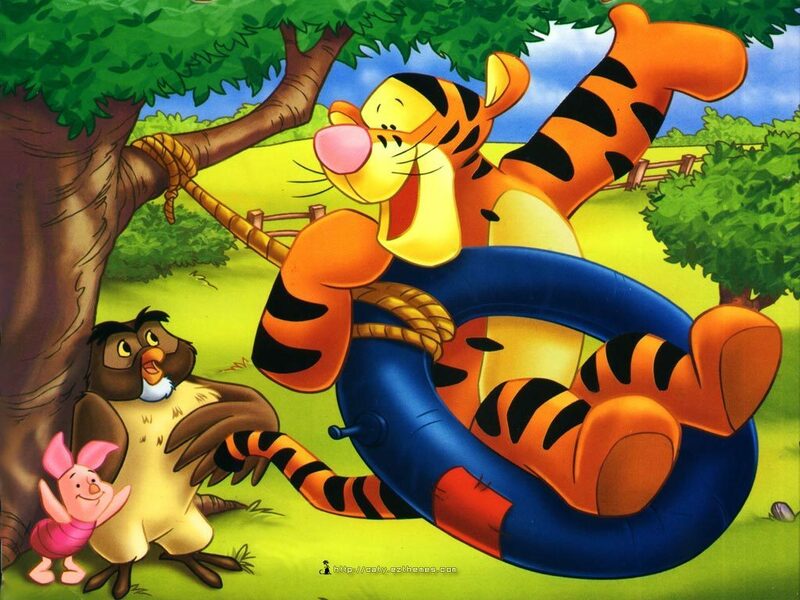 Tigger Обои. Tigger swinging on a tire with Owl and Roo watching.. HD Wallpaper and background images in the Винни-Пух club tagged: winnie the pooh tigger owl roo swinging tire disney wallpaper. This Винни-Пух wallpaper contains аниме, комиксы, манга, анимационные фильмы, комикс, мультфильм, and книга комиксов.